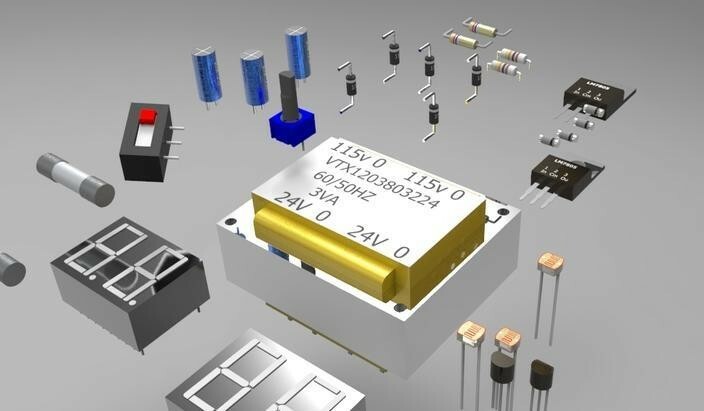 In the two previous articles, we introduced the actively loaded MOSFET differential pair and discussed two prominent advantages of this configuration—namely, improved biasing (compared to the use of drain resistors) and differential-to-single-ended conversion without loss of gain. The first thing to understand is that small-signal output resistance is not an inherent, precise property of a real MOSFET. Rather, it is amodelthat we use to account for the effect of channel-length modulation on a MOSFET’s small-signal behavior. Recall that MOSFETs used for linear amplification are typically biased in the saturation region, which corresponds to when the FET’s channel is “pinched off” at the drain end. This equation conveys the assumption that drain current is not affected by the drain-to-source voltage. The MOSFET acts like a dependent current source controlled by the overdrive voltage VOV, where VOV = VGS – VTH. This assumption is based on the idea that increasing the drain-to-source voltage does not alter the channel once it has become pinched off. As you’ve probably noticed, though, the real world is not particularly conducive to idealized situations such as this. The reality is that increasing the drain-to-source voltage does have a nontrivial effect on the channel: the pinch-off point is moved toward the source, and the result is more drain-to-source current as drain-to-source voltage increases. This means that we need an additional circuit element to account for this additional current, and by now you have probably guessed that the element we’re looking for is a resistor—namely, the small-signal output resistance ro. So now we have a MOSFET, which is still assumed to be immune to increasing drain-to-source voltage, in conjunction with an ordinary resistor, which (like any resistor) has a current flow equal to the voltage across the resistor divided by the resistance. As drain-to-source voltage increases, more current flows through the resistor, and this current compensates for the lack of change in the drain current of the idealized MOSFET. By combining these two currents—drain current of the idealized FET and current through the resistor—we can find the total drain current for arealMOSFET. Ignoring channel-length modulation is equivalent to assuming that the small-signal output resistance of the FET is infinite. It follows, then, that higher output resistance is desirable if we want a MOSFET to behave more like the idealized component in which drain current is not influenced by drain-to-source voltage. As we will see later, small-signal output resistance is determined in part by the FET’s DC bias current, so we do have some ability to increase the output resistance of a given device. One last note before we move on: Output resistance is itself a simplification of real MOSFET behavior. The subatomic action taking place in a MOSFET’s channel is not exactly straightforward, and it comes as no surprise to me that the simple linear relationship represented by a drain-to-source resistor is not the whole story. So the finite output resistance lowers the gain, because the equivalent resistance of two resistors in parallel is always less than that of either individual resistor. This demonstrates the desirability of higher small-signal output resistance: if ro is much larger than RD, the reduction in gain will be negligible. Notice also that the output resistance places an upper limit on AV; no matter how much drain resistance you have, the equivalent resistance RD||ro will never be higher than ro. This means that AV cannot exceed (gm × ro), which is referred to as a MOSFET’sintrinsic gain. OK, so how do we calculate the small-signal output resistance? You need two things: bias current and lamba (or λ, for those who are a little foggy on the Greek alphabet). Lambda depends on physical characteristics of the FET and on the device’s bias conditions, but to make life tolerably simple we ignore the dependence on bias conditions and assume that lambda is a constant for a particular process technology. You should be aware, though, that lambda increases as the length of the physical channel decreases. ID (fortunately more straightforward than lambda) is the FET’s DC-bias drain current—i.e., the drain current that you ignore when performing small-signal analysis. I looked through some NMOS SPICE models and saw lambda values in the range of, say, 0.01 to 0.1 V–1. With a bias current of 500 µA, this range corresponds to small-signal output resistance of 200 kΩ to 20 kΩ. This gives you an idea of the high gains we can achieve by loading an amplifier with a transistor’s small-signal output resistance instead of an ordinary drain resistor (if you find this statement confusing, refer back to “The Drain-Resistor Problem” and “Thinking About a Current Source” in this article). Keep in mind, though, that state-of-the-art short-channel MOSFETs will have higher lambda (and thus lower gain). Now that we have explored small-signal output resistance, we are ready to analyze the differential gain of our actively loaded MOSFET differential pair. We’ll do this in the next article, and we’ll also empirically (i.e., via simulation) measure lambda so that we can predict the gain of an LTspice differential amplifier.